Come aboard and visit 'The Bridge' showroom at our headquarters in Plymouth. 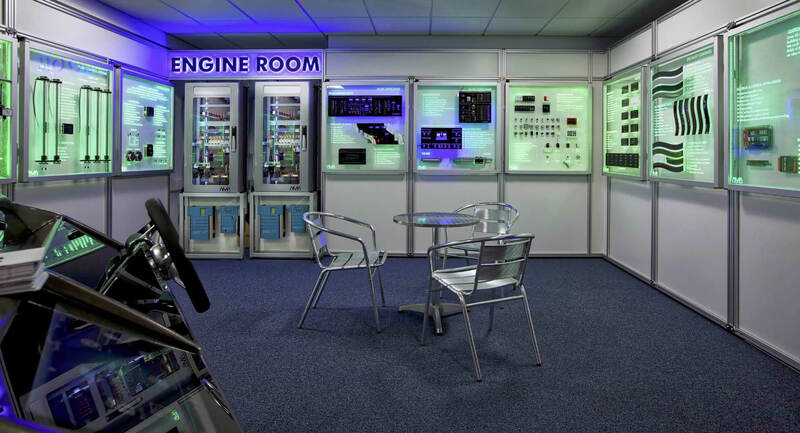 Designed to simulate all on board systems, visitors to the state-of the-art showroom can take part in a truly interactive experience. Move water between tanks, control fuel levels, boat lighting systems and electrical circuits and simulate failures and alarms for a demonstration of our control and monitoring systems. Contact us to book a visit and experience a full demonstration. Visit our award winning home automation showroom in Plymouth and experience the latest in smart home technology. From multi room audio to lighting and climate control, our home automation experts can design and install smart home technology for your ultimate comfort and convenience whether you’re at sea or in port. Contact us for a demonstration of the smart home systems at our showroom.